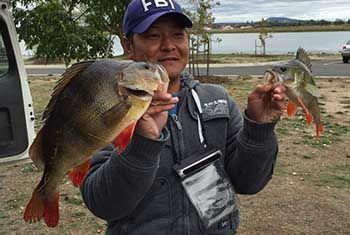 Community member Tom Nguyen recently headed up to Lake Wendouree and caught some cracking Redfin. The biggest Redfin he caught was a monstrous 47cm which was caught flicking a Paceys Perch 5cm Bullet Lure amongst the rowing lanes. Thats a cracking Reddie Tom thanks for sharing and keep the reports coming. Make sure you guys check out Tom’s Facebook group “Fishing Victoria Freshwater and Saltwater” which has 1500 members.